Apple today released the iMac Pro, its all-new powerful desktop workstation aimed at professional users with demanding workflows. While the iMac Pro starts at $4,999 for the base model, and costs up to $13,199 for a maxed-out, 18-core configuration, fortunately the price of AppleCare+ for iMac Pro isn't any more expensive than for a regular iMac. 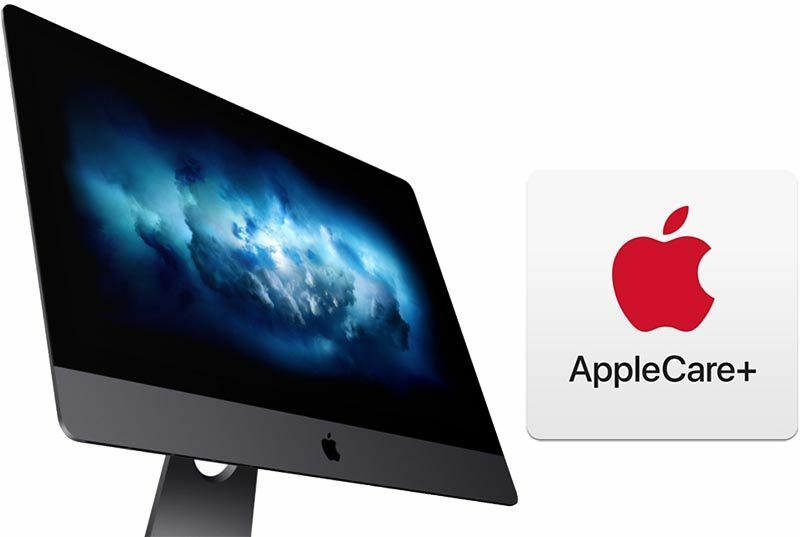 AppleCare+ for iMac Pro can be purchased for $169 in the United States, which is the same price Apple charges for its 21.5-inch and 27-inch 4K and 5K iMac models. We've confirmed this is the price shown during checkout. AppleCare+ extends an iMac Pro's warranty coverage to three years from its original purchase date and provides up to two incidents of accidental damage coverage, each subject to a service fee of $99 for screen damage or external enclosure damage, or $299 for any other type of damage. iMac Pros are also covered by Apple's standard one-year limited warranty and 90 days of complimentary technical support by phone. That's the only thing on the iMac Pro I can afford. We like to give Apple a lot of crap for their high prices but credit where credit is due. This is insanely affordable for warranty coverage for a workstation machine. It should come with 3-5 year warranty for that price ! Not a pathetic 1 year standard consumer warranty for a "workstation" . This is no workstation, it's a space grey iMac .... consumer grade . Cheaper than AppleCare for the iPhone X! I could always just live in the box. It'd be as spacious as my NYC apartment. People say a lot of things about Tim Cook, but this is the surest indicator yet that he has gone crazy. It's probably a mistake, and Tim intends to correct it with a $999 AppleCare plan. This just proves that Apple is milking the iPhone customer base. How can a £1150 device be £200 but a £5k device £169. It’s a complete joke how greedy they have become in some areas. How can a £20,000 car be £485 but a £500,000 home £150? Hint: AppleCare+ is an insurance product (like the two types of insurance I quoted average prices for above) and isn't based solely on cost of device but also risk... which are you more likely to drop on the floor and smash - a phone you carry everywhere or a 10kg computer that doesn't move off your desk? Great! Now do the same for iPhone X.
AppleCare has become very expansive recently . No insurance should be approaching 20% of the value of item.